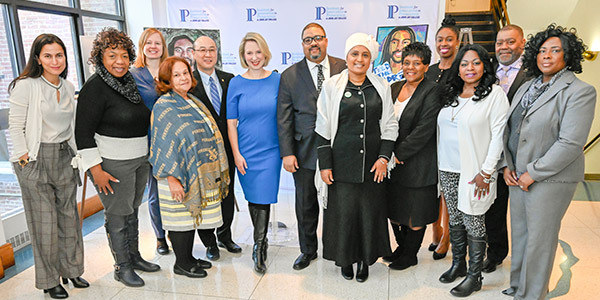 They’ve lost loved ones to police violence, but turned that pain into progress, working with prosecutors, police chiefs, policy experts and community advocates to create a new toolkit that can be used nationwide to help reduce officer-involved fatalities. 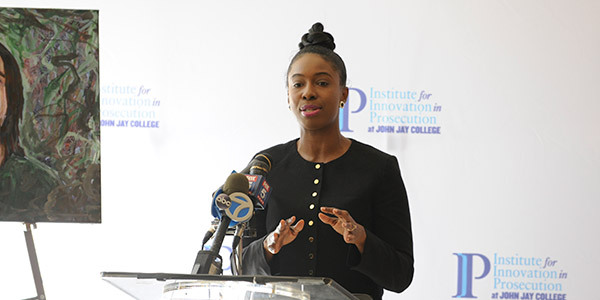 The toolkit, produced under the direction of the Institute for Innovation in Prosecution at John Jay College of Criminal Justice (IIP), was unveiled at the Schomburg Center for Research in Black Culture. 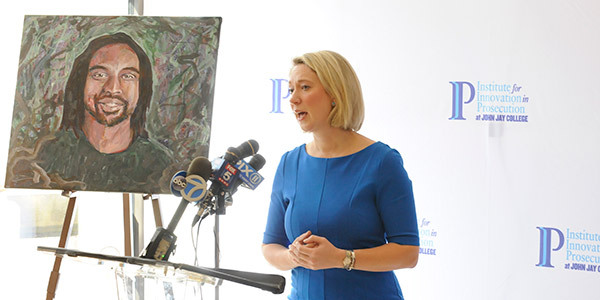 It was the culmination of a year-long collaboration of 50 experts and family from across the country who met regularly at John Jay. The toolkit serves as a concrete action plan for state and local prosecutors and the communities they serve to prevent the use-of-force and creating a path to accountability for unjustified force. Approximately 1,000 people, disproportionately people of color, are killed in officer-involved critical incidents every year. An analysis by the Washington Post reports that between 2005 and 2015, only 54 police officers faced criminal charges for fatally shooting someone in the line of duty, and nearly half of such cases resulted in acquittal or dismissal. Leaders from all sides of this issue - prosecutors, law enforcement experts, and family members directly impacted - emphasized the importance of taking this first step together. “This toolkit provides meaningful guidance to prosecutors, police, and the communities they serve, in addressing officer-involved fatalities and critical incidents in a manner that respects both concepts. The process used to create the toolkit demonstrates the power of collaboration and reinforces the need to bring all stakeholders to the table, even those with varying and opposing views, when addressing our greatest challenges,” Ron Davis, retired police chief and director of President Obama’s Task Force on 21st Century Policing. Families represented in the working group included Castile, Diallo as well as Iris Baez, the mother of Anthony Baez, who died as the result of an NYPD chokehold in 1994; Valerie Bell, the mother of Sean Bell, who was fatally shot by NYPD detectives on the night before his wedding in November 2006; Gwen Carr, the mother of Eric Garner, who died as the result of an NYPD chokehold in July 2014; and Victoria Davis, sister of Delrawn Small, who was fatally shot by an off-duty NYPD officer in July 2016. The Toolkit will be distributed to DA’s offices across the country. It includes a step-by-step process for prosecutors to use before and after an officer-involved critical incident occurs within both their office and their jurisdiction. The toolkit includes a data checklist, an investigative checklist and an action plan to ensure thorough, transparent, and timely investigations. It recommends that a dedicated staff meet with organizers, develop relationships with family members, and respond to the scene immediately. “This toolkit is not just about a call for change in practice, it’s a call for change in the hearts and minds of everybody involved in the criminal justice system,” added Commonwealth’s Attorney Morales.